Professor Leander is the project director for the Swedish Pompeii Project, which has spent more than a decade recording and analysing Regio V Insula I, originally excavated in the nineteenth century. Further development of this work includes the use of 3-D modelling and virtual reality tools to better record and understand the ancient architecture. In addition, Professor Leander has worked on some aspects of Classical Reception, including the view of Pompeii by Swedish artists, and the collection of Pirnaesi’s marbles in Stockholm. Recorded on the 26th of March 2014 at the University of Leeds. In addition to Diana, one of the other three Roman goddesses of some prominence in Pompeii was Ceres. Although not worshiped or invoked with the same popularity as Venus, one of the two known positions of public priestess* was dedicated to Ceres, which suggests she held some importance to the locals. As the goddess of agriculture, grain, fertility and motherhood, it is no surprise that she should hold a place of esteem in a city surrounded by some of the most fertile land in Italy. What is surprising though, is that a temple dedicated to the goddess has never been found, despite the fact that there are numerous inscriptions naming various women who took up her priestesshood. In addition, unlike Diana and Venus both, there is very little imagery of Ceres, and what little there is, is on the walls: no statuary has ever been identified. M(arco) Alleio Luccio Libellae patri aedili / IIvir(o) praefecto quinq(uennali) et M(arco) Alleio Libellae f(ilio) / decurioni. Vixit annis XVII. Locus monumenti / publice datus est. Alleia M(arci) f(ilia) Decimilla sacerdos / publica Cereris faciundum curavit viro et filio. Alleia actually holds the priesthood for two goddesses, serving Venus in addition to Ceres. Dated to the Neronian period, she is the only woman for whom this dual role is recorded. Clodia A(uli) f(ilia) / sacerdos / publica / Cereris d(ecreto) d(ecurionum). ‘Clodia, daughter of Aulus, public priestess of Ceres, by decree of the decurions. Lassia M(arci) f(ilia) / sacerdos / publica / Cereris d(ecreto) d(ecurionum). There were clearly two members of this family dedicated to the service of Ceres, but how exactly they were related is not certain. Eumachia [L(uci) f(ilia)] / sacerd(os) publ(ica). // et // Aquvia M(arci) [f(ilia)] Quarta / sacerd(os) Cereris publ(ica). // [et] // [Heiai Ru]fulai / [M(arci) et L(uci) f(iliae)] sacerdotes / [Cer]eris publ(icae). ‘Eumachia, daughter of Lucius, public priestess, and Aquvia Quarta, daughter of Marcus, public priestess of Ceres, and (two) Heia Rufulas, daughters of Marcus and Lucius, public priestesses of Ceres. The second, found in the Villa of the Mysteries, has nothing to do with the divine Ceres, but rather with a woman named for the goddess. This text is a variation on a theme offering prosperity to those who love and punishing those who are unable to or hinder love, seen elsewhere in Pompeian graffiti, most notably in CIL IV 4091, an elegiac couplet from the House of Caecilius Iucundus (V.1.23-26). Ceres [m]ea / si quis am(a)t valea(t), quisquis ve[t]at, male perae(t). / [Led]a(m) amavi, at quo quis lubebit. [T]i(beri) Cl(a)udi, va(le), sal(utem) plurimo. Amavi Leda(m), / (pu)ella(m) Sami. Varone suggests ‘we may detect a certain amount of mockery towards a ‘guardian’, Ti. Claudius, from whose control a certain Ceres has apparently escaped, to the writer’s benefit.’ In a sense, the tone of this text is reminiscent of many similar graffiti addressing Venus in her guise as goddess of love, and it is purely the coincidence of name that predicates its inclusion here. Like both Diana and Venus, Ceres appears in two street shrines dedicated to the pantheon of Twelve Gods found at VIII. 3.11 and IX.11.1. However, this is the only public art that depicts Ceres. The only other images of Ceres, four to be exact, are found in private domestic settings. One of these (photo above), that found in the House of Castor & Pollux (VI.9.6), was removed to the Naples Archaeological Museum soon after excavation in 1828, and thus remains well preserved. Discovered in an area leading to the peristyle of the house, it was one of two painting flanking a doorway (the other was Saturn), it depicts Ceres holding a long torch and a basket full of grain, which is typical iconography for the goddess of agriculture. 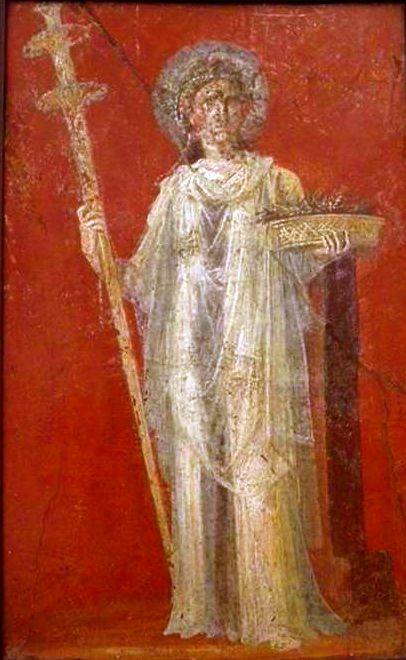 A similar image of Ceres with a crown of grain, holding a torch and a sheaf of grain, was found on a garden wall in the Casa della Regina d’Olanda (V.3.7). Now completely lost to the elements, the figure stood in an aedicula, undoubtedly meant to depict the goddess in a temple or shrine. Ceres appears with a second figure in the two remaining images. In the House of Meleager (VI.9.2), Mercury is handing a purse to a seated Ceres, who is also holding her telltale torch. On the north wall of the fauces of the House of Marcus Lucretius (IX.3.5), Ceres stands with another figure, but as only the lower halves remain, it is impossible to determine who she is with. For a divine figure who has her own dedicated priestesshood, the archaeological evidence for Ceres is surprisingly sparse. The majority of the evidence for her worship comes from the monumental inscriptions naming her priestesses; there is very little in terms of graffiti or imagery. What this seems to indicate is that unlike Diana, who is a popular figure for both public and private artwork, prevalent in statuary and wall painting alike, or Venus (forthcoming!) who is depicted with such abundance she is easily the most popular goddess in Pompeii, Ceres’ role is somewhat less tangible. She has a clear place in the officially sanctioned religion of city complete with a dedicated priestess, but she lacks a temple, and does not often appear in either public or domestic art. For some reason, Ceres does not seem to hold the same place in the hearts and minds of the inhabitants of this city as the other goddesses. Perhaps though, that is the clue: city-dwellers might not have tied their fortunes to the goddess of agriculture in the same way those living on a farm might. To find the true importance of Ceres in this region, the answer likely lies in the countryside, beneath meters of volcanic debris. * There are a number of women, such as another Clodia, Eumachia and Holconia, who are attributed as sacerdos publica in texts that do not specifically name the goddess that was served. For the purposes of clarity, I have not included here any of the numerous inscriptions in which women are identified as a more generic public priestess without naming the divinity being honoured. Professor Wallace-Hadrill is the director of the Herculaneum Conservation Project and former director of the British School at Rome. He is primarily a social and cultural historian who has published key texts on Rome – Rome’s Cultural Revolution, Cambridge University Press (2008) – and Pompeii and Herculaneum – Houses and Society in Pompeii and Herculaneum, Princeton University Press (1994) for which he won an award from the Archaeological Institute of America. 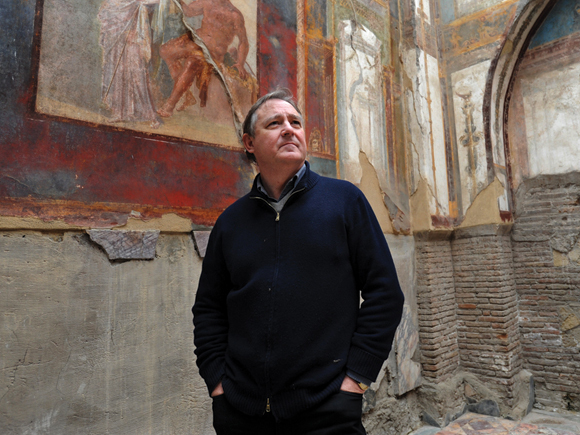 His work with the Packard Humanities Institute in Herculaneum has focused on preservation and conservation of the site and serves as a model for future efforts in the Vesuvian area. He began his paper with a discussion of the long history of the excavation of both Pompeii and Herculaneum,and many of the issues encountered by past archaeologists in dealing with the destruction of archaeology and need for conservation. Elucidating on many of these issues still felt today, Wallace-Hadrill illustrated his point with details of his own work with Professor Michael Fulford at the University of Reading in the House of Amarantus (I.9.12). Turning to Herculaneum, the remainder of the paper focused on the work of the Herculaneum Conservation Project with support from the Packard Humanities Institute. The premise behind this work is that the way to save the Vesuvian sites from further decay is to combine the efforts of archaeologists, conservators, engineers, and other specialists working together in order to halt (or at least slow down) the degradation of the ruins. 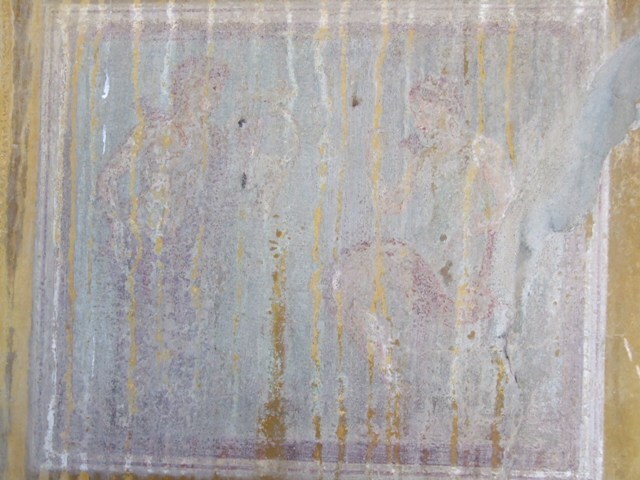 Some of their activities are relatively simple in concept – such as getting the city’s ancient drainage system working again – but more often their work involves looking at connected systems of prevention – such as solving the damp problem in the neighbouring house in order to save the mosaic in the House of Neptune. Wallace-Hadrill’s final example of the kind of collaborative work he espouses concerned the House of the Telephus Relief. The desire to protect marble embellishments on an upper storey of the house led to the discovery of the remains of the original timber roof, and its eventual reconstruction. 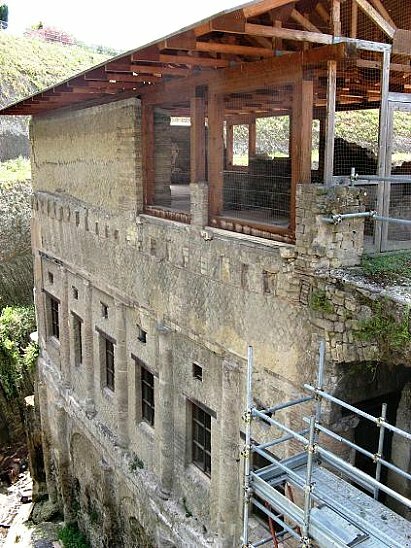 The work in this house is a testament to the method’s adopted by the Herculaneum Conservation Project, Wallace-Hadrill, and the Packard Institute, and certainly provide a convincing argument for future work in the Vesuvian region. Yesterday, it was announced to the press that a small section of wall painting, depicting the goddess Diana, was stolen from a house in Pompeii. Coming after numerous weeks of (renewed) speculation on the management of the site after a series of collapses were made public, this marks yet another chapter in the ongoing saga of protecting the archaeological site, both from the elements and natural degradation, and more unfortunately, thieves. The original location of the painting, in the House of Neptune (VI.5.3), is a small room (Room 20 on the plan) off of the atrium of a building closed to public access. Hidden away from plain sight or easy access, it’s difficult not to conclude this act was committed by those who had very good – dare I say, inside – knowledge of the site. Regardless, the section of wall that was taken was part of a larger panel depicting the goddess with her brother Apollo, and more to the point, is part of a larger corpus of material that provides insight into the worship of Roman gods. The gods and goddesses of the Roman pantheon were ever present in the lives of their worshipers, something which is evident in Pompeii not only in their temples, shrines, and votive offerings, but also in the decor of their homes, and, of course, the epigraphy. There are three goddesses in particular that seem to dominate the Pompeian evidence, albeit each in a different way. Venus, the most ubiquitous of them all, was the patron deity of the colony, and as the goddess of love, was frequently called upon in regards to matters of the heart. Hers was one of two public priestesses that are known to us – the other dedicated to Ceres. Diana also appears frequently in the archaeological record, but unlike Venus, who appears in various media, and Ceres, who is primarily (though not exclusively) present in inscriptions, Diana features almost entirely in the artwork of the city – in wall paintings and statuary, both public and private. Diana, or Artemis as the Greeks called her, was the goddess of the hunt, the moon, the countryside, and childbirth. 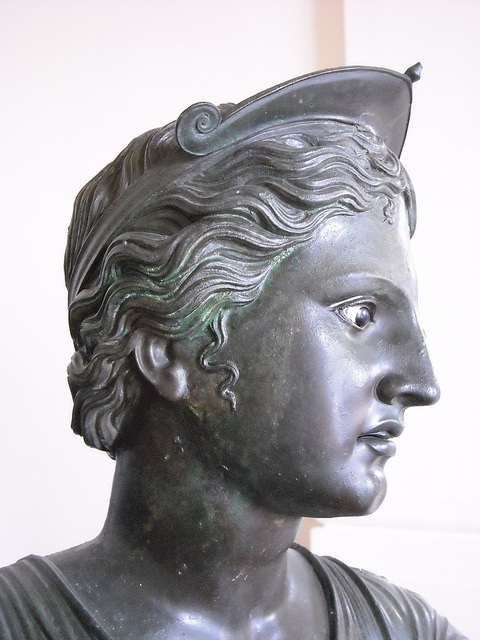 Sister to Apollo, it is probably of no surprise that a bronze statue of her was located in Pompeii’s Temple of Apollo (pictured above), whose worship in the area dates back to the 6th century BC. Paintings of the two together are common, and indeed, the looted piece is one of them. There are a mere four references in the epigraphic material loosely linked to Diana. All of these are graffiti, and all name Dianensis (AE 1911: 71, CIL IV 2993, IV 7021, IV 8486b). This is not actually a reference to the goddess specifically, but more likely to a pagus or vicus that was named in her honour. Where Diana dominates the archaeological record is in imagery – wall paintings and statuary. There are nearly forty structures in Pompeii, located throughout the city, that have (or had) depictions of one form or another of Diana (or her Greek counterpart Artemis). Sometimes Diana appeared in conjunction with other gods, such as on the street shrines located at VIII.3.11 and IX.11.1. But more often she appears in one of two mythological scenes. As Artemis, she can appear either as a physical presence or as a statue, overseeing the sacrifice of Iphigenia. An important element of the Trojan War story, as told by Aeschylus and Euripides, the sacrifice of Iphigenia is meant to appease Artemis so the Greeks can sail to war, but most versions of the story in fact save the girl, who later becomes a priestess dedicated to the goddess who would have had her killed. One example of this can be found in the House of the Tragic Poet (VI.8.3) where a statue of Artemis witnesses the scene, and another in the House of Pinarius Cerialis (III.4.b). The other popular iconography is of Diana and Acteon. According to myth, as told by Ovid in the Metamorphoses, Acteon stumbled upon the virgin goddess when she was bathing, which she took as such an offense she turned him into a deer, as which he was then torn apart by his own hunting dogs. This is the subject of a number of paintings in the House of Loreius Tiburtinus (II.2.2). Room 11 has two large paintings on either side of a doorway, one showing Diana being interrupted at her bath by Acteon and the other depicting Acteon’s subsequent death. There are additional scenes of Diana and Acteon in Room 13 and the garden of the house. It is not one that has been published repeatedly, was not deemed worthy of removal to the Naples Archaeological Museum, and was not actually in the best condition. That there is a inexpertly executed attempt at conservation on the borders of the panel may have actually made it easier for the section of wall to be removed by thieves. But that is somewhat beside the point, as any theft of cultural material, particularly one that causes further damage by removing a small piece of wall, is beyond reprehensible. In surveying the evidence for Diana in Pompeii, however, it is clear that unlike other goddesses, her importance to the townspeople is demonstrated exclusively through artwork, not by the epigraphy. Therefore, any loss of her image is a significant loss to the corpus of evidence and ability to gain a better understanding of her role in Pompeii. Hopefully, this is a loss that won’t be permanent. The obvious place to start when building up a data set of names found in Pompeii is with known family groups. More than four hundred gens found in the epigraphy of the city were identified by Castrén, and though this is not a complete record of all individuals, it is an excellent beginning. This is the first of what I intend to be many posts attempting to sort through some of the known families, proceeding alphabetically as I progress through the previously published material. Early in the index of families, Castrén identified eighteen members of the Alleii family, one he claims is a gentilicium of Campanian origins with commercial interests also attested in Capua and Delos. Schulze also records epigraphic attestations in Firmum Picenum and Mevania. A quick survey of the Epigraphik Datenbank reveals a further three members sharing the family name of Alleius in the record. But how these twenty-one people are connected, and if they are linked by anything more than name, is a bit difficult to figure out. M(arco) Alleio Q(uinti) f(ilio) Men(enia tribu) Minio II v(iro) i(ure) d(icundo) locus sepulturae publice datus ex d(ecreto) d(ecurionum). Marcus Alleius Luccius Libella actually provides links to two separate families – the one into which he was born, the Luccii, and the one into which he was adopted and married, the Alleii. His term as quinquennalis took place in AD 25-26, which is used to date the tomb approximately to the reign of Tiberius. From the offices he held, the priesthood of his wife, and his young son’s admittance to the town council, it is clear they were a fairly prominent family, undoubtedly carrying on from the legacy of her father. Because their son, Marcus Alleius Libella died at a relatively young age, it is most probable that this particular branch of the family ended with him. There are two further Marci Alleii, appearing on the wax tablets of Iucundus in AD 56. Marcus Alleius Carpus (CIL IV 3340.02 and 3340.21) serves as a witness, and Marcus Alleius Hyginus (CIL IV 3340.46) as a seller. Although it is not a certainty, in considering nomenclature and the date of their appearance, I would suggest these men were freedmen of the family of Marcus Alleius Luccius Libella and his wife. D’Ambrosio and De Caro (1983) 11OS: 13. Pomponia Dech- / arcis Allei Nobilis / Allei Mai mater. D’Ambrosio and De Caro (1983) 11OS: 10. Cn(eio) Alleio Mai lib(erto) / Eroti Augustali / gratis creato, cui / Augustales et Pa[gani] / in funeris honor(ibus) / HS singula milia / decreverunt, vixit / annis XXII. D’Ambrosio and De Caro (1983) 11OS: 12. Cn(eius) Alleius Logus / omnium collegioru(m) / benemeritus. The family line of Gnaeus Alleius Nigidius Maius has been further confused by the placement of his family’s columellae within the tomb of Eumachia. This has led numerous scholars to suggest that he was somehow linked to the Eumachii family, who seemingly died out in the Tiberian/Claudian period, despite the fact that there is no onomastic or epigraphic link between the two families whatsoever. Rather, I have always believed that the family simply took advantage of a very grand but abandoned tomb to re-purpose as their own. What is lacking from the epigraphic record, however, is how the Marci Alleii and the extended family of Gnaeus Alleius Nigidius Maius were linked, if indeed they were at all. There are other attestations of Alleii that do not help shed any light on this. Gaius Alleius Astragalus is named as curator in CIL IV 2437, a text that could be dated to sometime between 28 and 26 BC. (The consular dating is rather muddled here, as Marcus Agrippa was consul in 28 and 27, and Titus Statilius Taurus in 26). Gaius Alleius Terentius ran for aedile according to CIL IV 7980, but this cannot be firmly dated, and is the only record of a man of this name. A small, relatively poor enclosure tomb broadly dated to the Julio-Claudian period at the Porta di Nocera names Numerius Alleius Auctus on the single inscribed columella, and lacks the filiation that would provide further clues. Two women, Alleia Calaes and Alleia Numphe, are named in CIL IV 2495, but this is again their only attestation, and the text contains nothing but their names. Onomastically, Numerius Alleius Nigidius Verus (CIL IV 3453) must be connected to Alleius Maius, but following the use of four names as outlined in Salomies that is typical of Pompeii, he was also adopted, and we have no information as to when he lived – whether before, after, or in the same period as the other man. 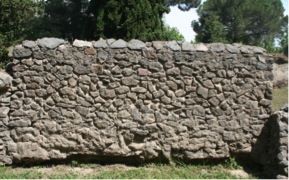 The Alleii are a good illustration of one of the biggest challenges for tracing family lines and connecting members of specific gentilicium through the epigraphic record of Pompeii – one of chronology. There are numerous instances in which a family line disappears from the record for a generation or more, reappearing later, often in a somewhat different form. For the Alleii, there is roughly a twenty-five year gap in the evidence between the Marci Alleii and the various members of Gnaeus Alleius Nigidius’ family. The fact that the group in the AD 50s comes into prominence after an adoption, in conjunction with the known early death of a son in the AD 20s-30s, suggests that the family may have lost some of its prominence as a result of untimely death, and needed those intervening years to rebuild, perhaps financially as well as in terms of heirs eligible for seeking political office. For that reason, it becomes understandable that there is no epigraphic evidence that details the transition from the earlier to the later branch, and that some of the history of the Alleii, thus forever remains a mystery. Dr. Hobbs is an expert on Iron Age and Roman metalwork, including coins, jewellery and dining ware. He has written about the treasure of Mildenhall – ‘Platters in the Mildenhall Treasure’ Britannia (2010) – and metal deposits – Late Roman Precious metal deposits, AD200-700: changes over time and space, BAR Int Series (2006). He has overseen the study of the coins recovered by the Anglo-American Pompeii Project, recently publishing the results of this work: Currency and exchange in ancient Pompeii. Coins from the AAPP excavations at Region VI, Insula 1, Institute of Classical Studies, BICS Supp. (2013). A list of his further publications can be found here. Recorded on the 5th of March 2014 at the University of Leeds. 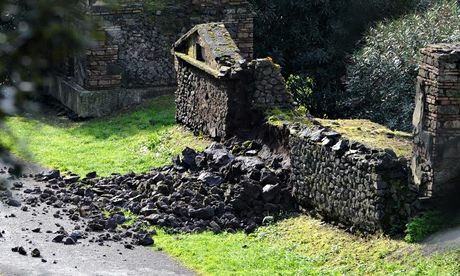 Like anyone who has worked and studied in Pompeii for many years, every time there is a new story about the condition of the site, the mismanagement of resources, changes in personnel or further damage, I can’t help but feel frustrated, angry, and a little bit sad. As someone who has dedicated a large amount of my academic life to this city, it is incredibly difficult to witness this seemingly endless cycle of arguing, accusations and political in-fighting with little (noticeable) improvement to the actual circumstances on site. At the same time, I understand the difficulties of managing such a physically large site, balancing the needs of tourism and scholarship, and the difficult decisions that must be made in regards to allocating funds for preservation and restoration. I also fully recognize that much of the reporting in the press is exaggerated or sensationalized to the detriment of the leading figures in the Soprintindenza. The people in charge of Pompeii have an incredibly difficult task, and I don’t envy them in the least. But this latest round of collapses, appearing yesterday afternoon in the press, have had a far greater impact on me than any previously. I found myself holding my breath when I read a tomb was one of the damaged structures, waiting for the link to the article to open. When I saw the photo, my heart just sank. Understand this: my current project, and the one to which this blog is dedicated, is an examination of the networks in Pompeii, based on the epigraphy left by the city’s people. My interest in the people who once populated this city came via the funerary monuments they left behind. The tombs were the subject of my doctoral dissertation, and are the part of Pompeii I know best. I spent years amongst them (literally and in the library), measuring, photographing, documenting, fighting off bats in tomb chambers, sitting and observing, looking from every angle at how the ancients might have viewed them. Silly as it may seem, I feel rather proprietary towards them: these are MY tombs (yes, all one hundred and twentyish of them). So when the photo of the collapse loaded on my screen, I knew exactly which tomb it was, the evidence for burial – just one small columella marking a grave was in situ behind the wall – and how it should look. Was it a large tomb with lots of decoration, or a long dedicatory inscription? Absolutely not. It was a relatively simple burial enclosure, with a single opus incertum wall of tufa, with no known dedicant. In fact, if you were going to pick an insignificant tomb to collapse, this would be a prime candidate. There was nothing remarkable about it. And yet, I would argue every tomb is remarkable. Or more to the point, that every structure in Pompeii, no matter how simplistic or seemingly insignificant, is of value and worth protecting. I have no idea what kind of maintenance, if any, has been performed in this area or to this tomb in recent years, but my guess would be little to none, because it was such a simple structure, with no feature that distinguished it in any way from an architectural, epigraphic, or art historical perspective. But that simple wall actually provided quite a lot of information: it provided a relative chronology for dating adjacent tombs on the northeast side of the Porta di Nocera necropolis; it was part of a sequence of structures that had a symbiotic relationship architecturally; and most importantly, it demonstrated that even those of modest means, unable to afford much more than a simple wall of locally sourced materials, had the desire to honour their dead. For me, that sentiment is the crux of what compels me to keep working in Pompeii. 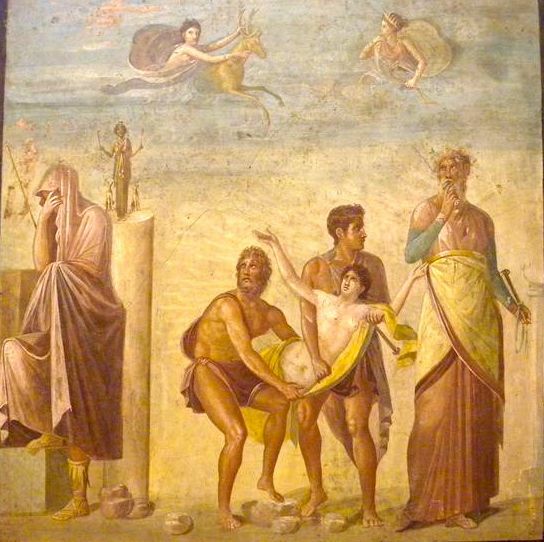 Less than two thousand years ago, Vesuvius preserved the lives, deaths, loves, games, jokes, rivalries, jobs, and a myriad of trivial details of the every day for the roughly twelve thousand people who lived in Pompeii, as well as those who had come before them. As important as this evidence is for the study of antiquity as a whole, there has always been something more personal about Pompeii, some element that forges a connection between and us and them that is experienced by scholar and tourist alike. And that is why every new story lamenting the state of the ruins, and seeing this for myself with each new visit, is a little bit heartbreaking. But more importantly, it is also why the protection and preservation of the site is so vital, even for the single wall of a relatively simple tomb, housing the remains of one unknown individual.